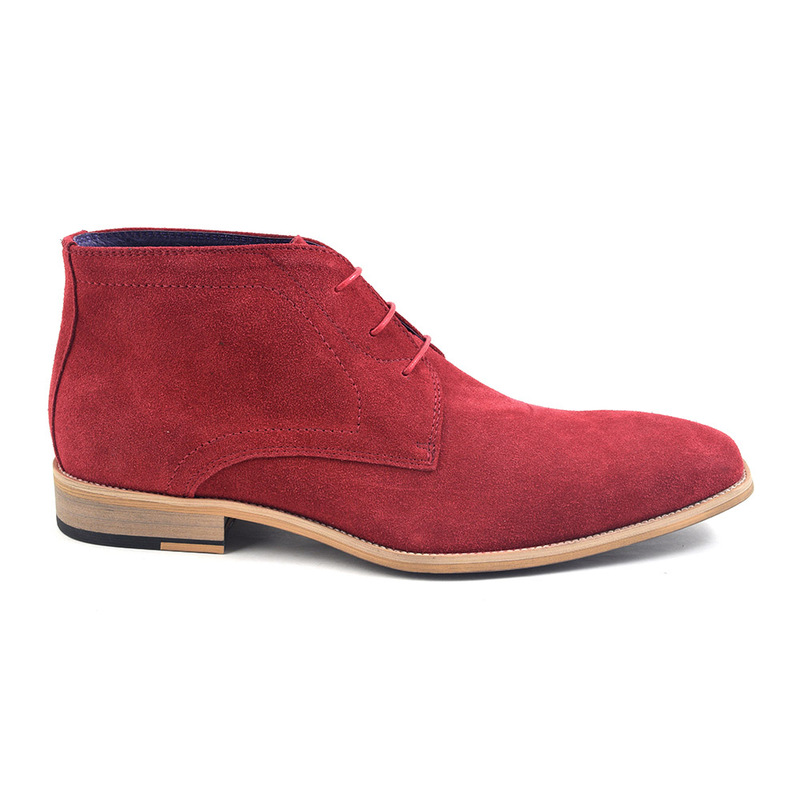 Add a pop of colour to your collection with these red suede chukka boots. There is exposed stitching to the outer sole for an artisan feel. Crafted in decadent suede, these make for an indulgent boot to show off your personality. 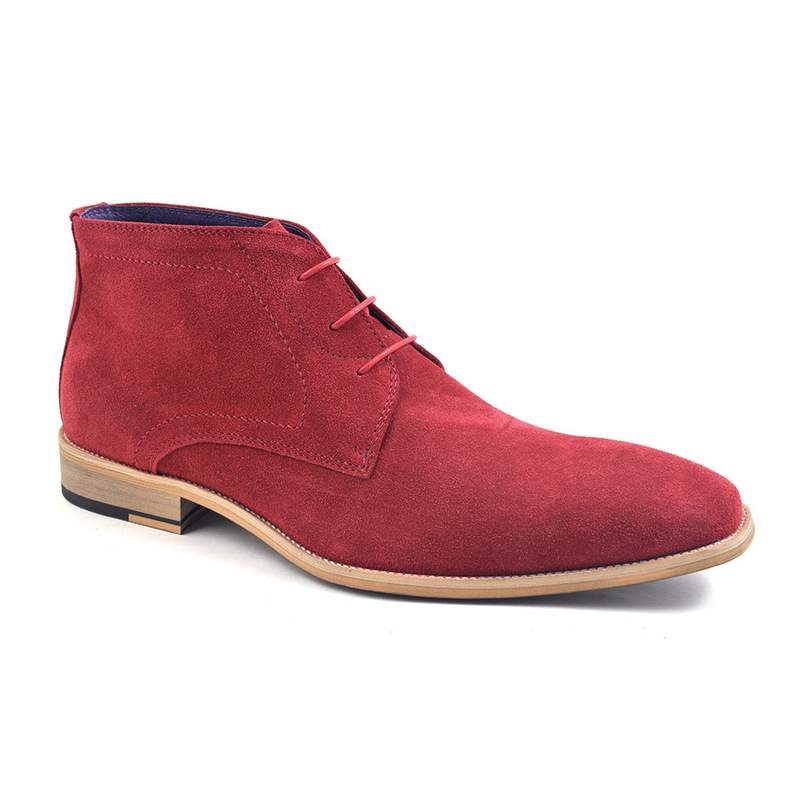 Where else are you going to find glorious mens red suede chukka boots at this price? The chukka is a boot with links to Polo and India. It is said to be linked to the Jodhpur boot worn by army officers when playing polo. It is also similar to the Hindi word for circle “chukkar” which can also mean to go for a walk. As these boots are known for their comfort, it will come as no surprise that after a match, many players popped into a pair of suede chukka boots and went for a stroll. A form of Chukka boot was worn by British Forces in the Western Desert Campaign of World War 11. 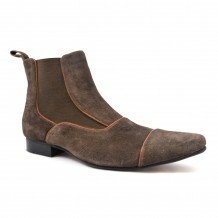 Hence, these are sometimes referred to as desert boots but these usually have thicker soles made of crepe. 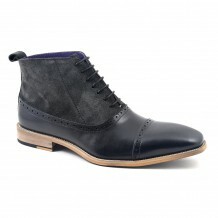 A true chukka boot has a suede upper made with an open lacing system of two or three eyelets maximum. 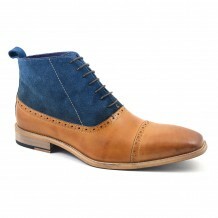 They have a thin sole too as witnessed in this original example of a contemporary suede chukka. These boots became popular the 40s and 50s as they traversed the lines of stye and comfort and were acceptable worn with a suit. 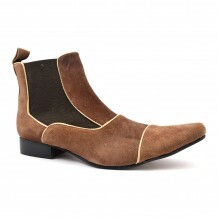 But we are talking the traditional brown suede variety here. 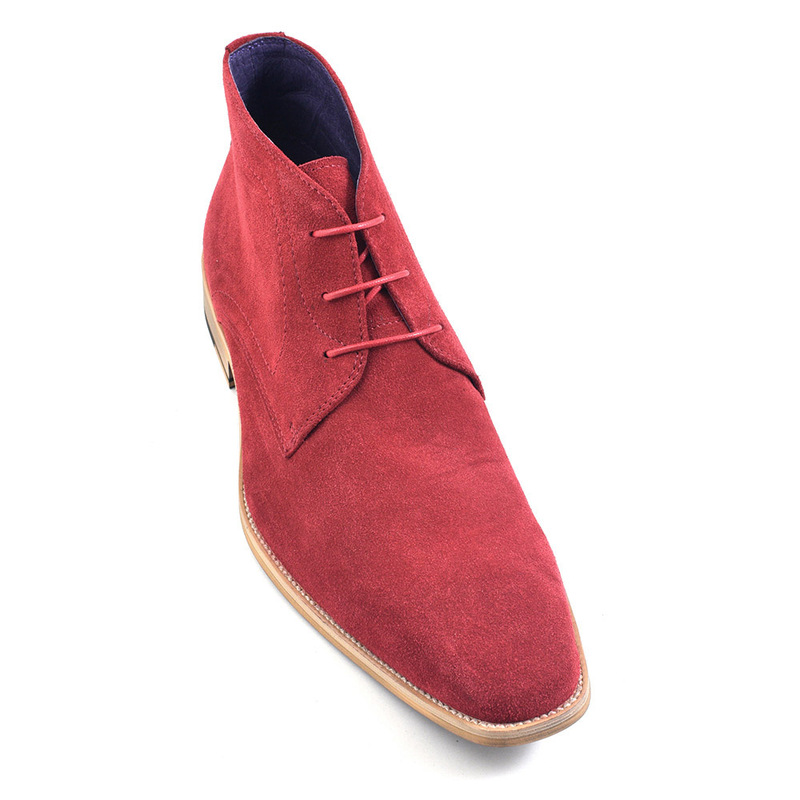 The shock of red suede on this mens chukka boot is dramatic and vibrant. It will lift your outfit like no other red boot and we are sure you will style it up in a unique way to match your personality. We would love to see what you come with so get in touch with us any which way you like so we can show off your red suede chukka boots to the world. Be the first to review “Huba Red Suede Chukka” Click here to cancel reply.